Make it a Giving Night! Get in the spirit of giving at one of these Sacramento philanthropic events. &apos;Tis the season to be thankful! With Thanksgiving a little more than a week away, it&apos;s time to start thinking of ways to show your appreciation and give back to the community. Sacramento365.com has handpicked five charitable events -- and nearby places to eat and drink -- that are not only fun, but also support great causes. Of course, you can find even more altruistic outings on Sacramento365.com&apos;s Holiday Events page. With the "Make It a Night" map (below the ticketing section on event listings), you can find restaurants, bars and hotels close to events you want to attend so you can complete your evening plans. Can&apos;t carry a tune anymore? Dispose of your unwanted musical instruments and give someone else the gift of music. Lighten up then reward yourself with fully-loaded American eats and drinks at nearby Krush Burger. Clothes never looked so good. Empower victims of domestic violence and celebrate young designers by attending this avant garde fashion show. Before admiring the collections, indulge in flavorful Indian food at Namaste Nepal, or have an afterparty drink at The Davis Graduate. Get ready to rock...and support Sacramento Food Bank and Family Services! Help feed a family in need by making a Butterball donation at this KISS Tribute concert. Before sipping stiff drinks at Shenanigans, feast on a big pizza pie from Pizza Rock. If you party like a rock star, it might be a good idea to sleepover at The Citizen Hotel. Have a &apos;can&apos;-do attitude the day after Thanksgiving! 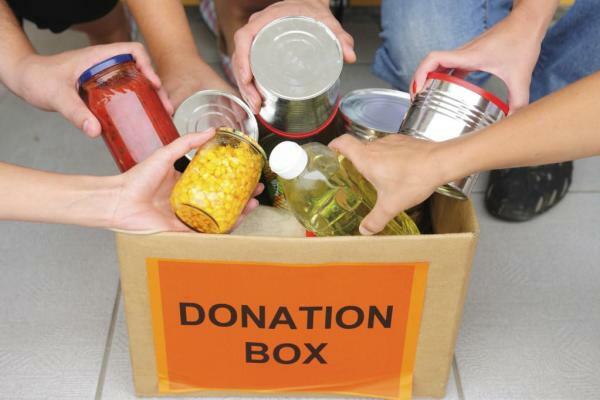 With a non-perishable food donation, you can unwind with the kids at the amusement park for free. Take a day-off from cooking and pack a lunch from The Sandwich Spot Land Park. Afterwards, grab a local beer at Track 7 Brewery where kids are welcome too. Skip the Black Friday crowds and purchase gifts made from the heart. Feast your eyes on works by talented Native American artisans...then satisfy your tastebuds around the corner with grub from Cafe Bernardo or an adult bevvie from Barwest.